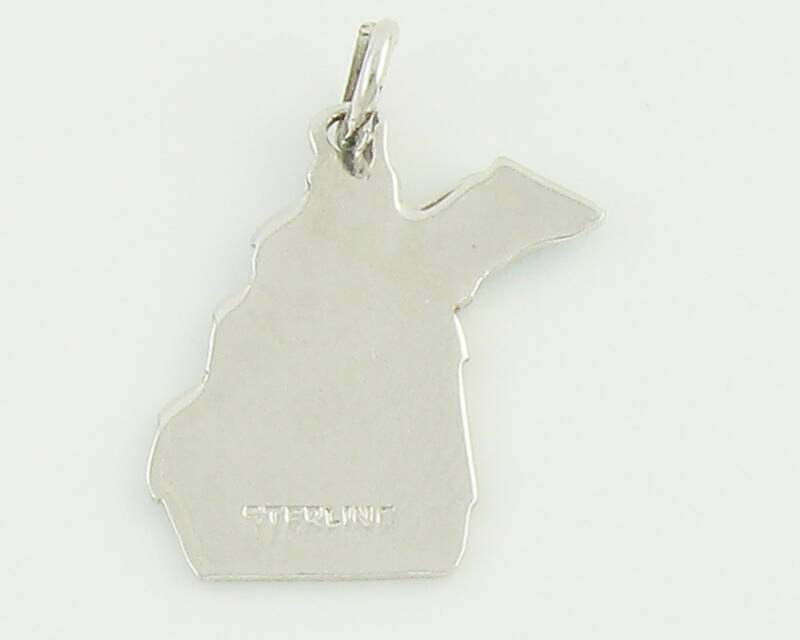 Vintage Sterling Silver and Enamel Michigan Travel Charm. 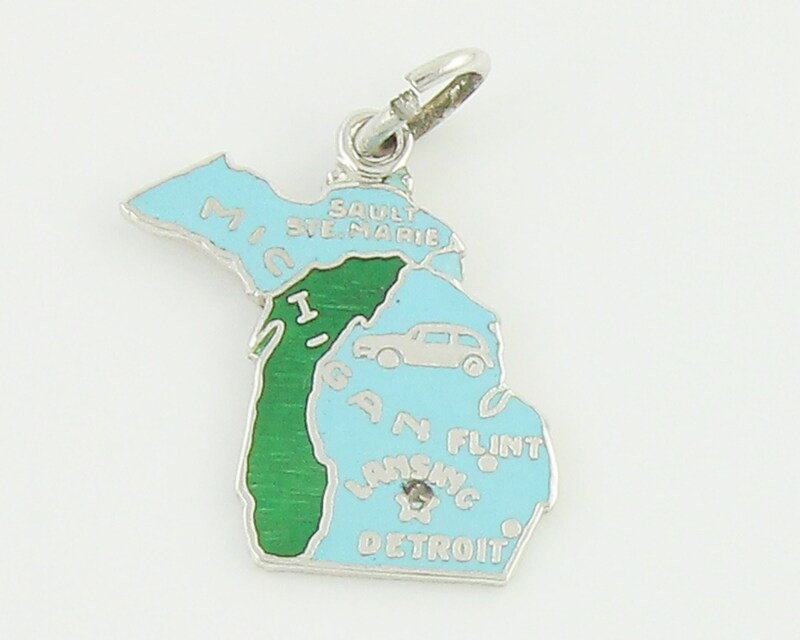 Decorated with baby blue and deep green enamel, this Michigan charm features an adorable station wagon, as well as the cities of Sault St. Marie, Flint, Lansing, and Detroit. MEASUREMENTS: The charm is approximately 3/4" long and 5/8" wide.